If you're looking for a new hobby then consider beekeeping. I must admit that I know nothing about bees except that they sting, they make honey, and whatever else that I saw in The Bee Movie, but that doesn't mean that you can't get into beekeeping. 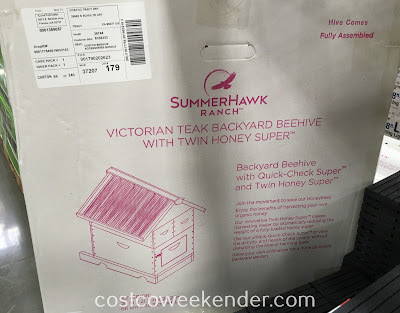 If you're still interested, you could always get the SummerHawk Ranch Victorian Teak Backyard Beehive with Twin Honey Super from Costco. 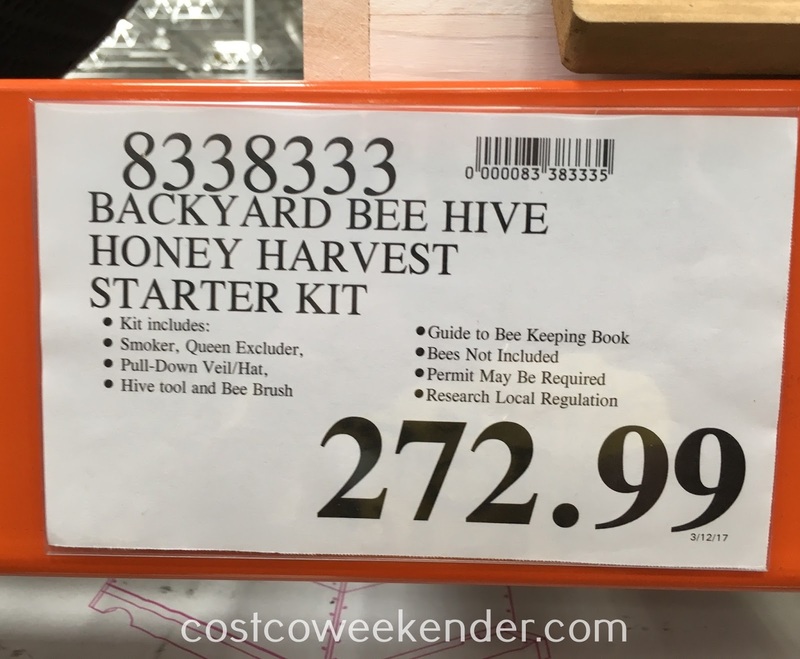 It comes with a guide to beekeeping book to help you get started. It's pretty cool to be able to make your own honey that is organic and doesn't have the same sugar content that store-bought honey can have. 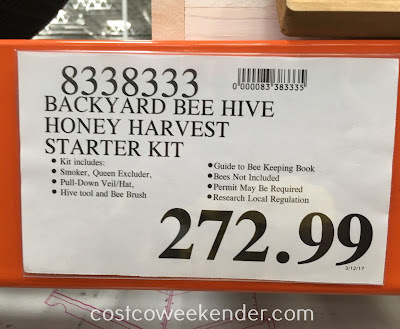 For an alternative beehive kit, check out the Miller Manufacturing Little Giant Hive10kit Beginner Beehive Kit also at Costco. My area Costco (91765) not carry this. Wonder if costco on line can place order. Hello @Ron, that's a bummer that your Costco doesn't have the SummerHawk Ranch Victorian Teak Backyard Beehive available. Ya, definitely check online to see if they have it. That or maybe check other nearby Costcos in your vicinity if you haven't done so already. You can just give them a call to see if they have any in stock because you never know. I know where I live/work, there's about 4-5 Costcos I can go to. Typing in your Southern California zip code, it looks like there are a few Costco warehouses within a 10 mile radius which you can check. Good luck! Thanks for reply. Before I post earlier massage. I did called them. They told me within 5 hours drive can't find any other branch has it. Online didn't has this item too. Just wonder if many peoples interested this item they might carry on line. Oh wow, I didn't realize that the SummerHawk Ranch Victorian Teak Backyard Beehive was that difficult to find in your area, @Ron. I haven't seen this exact kit online, but you can easily find other similar kits available at other online retailers like Amazon for instance. Thanks for the Costco link, @Abby! 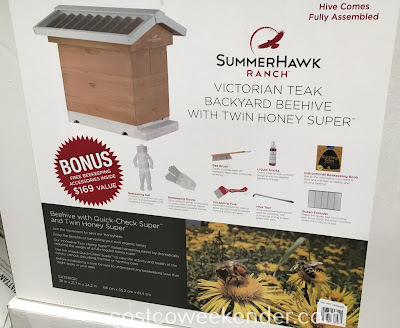 I hope @Ron sees it and gets to order the SummerHawk Ranch Victorian Teak Backyard Beehive online since he can't seem to locate it in any of his nearby Costcos. I bought two sets today. Thank you! Hello @Ron, that's awesome that you got a pair of SummerHawk Ranch Victorian Teak Backyard Beehives with Twin Honey Super. 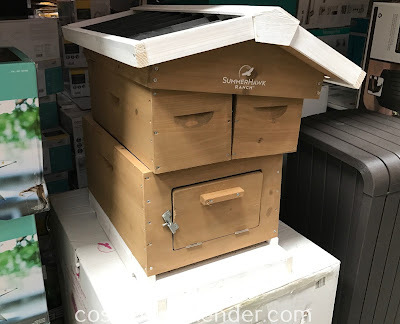 You must really be into beekeeping. I hope you enjoy having them and hope they produce a lot of honey for you!